Dear Readers, as you all know IBPS has Released the Notification of IBPS CWE PO/MT- VI.The online examination (Preliminary and Main) for Probationary Officer/ Management Trainee posts in the Participating Organisations is tentatively scheduled in October 2016.Here we mentioned the Exam Pattern of Preliminary and Main Examination. 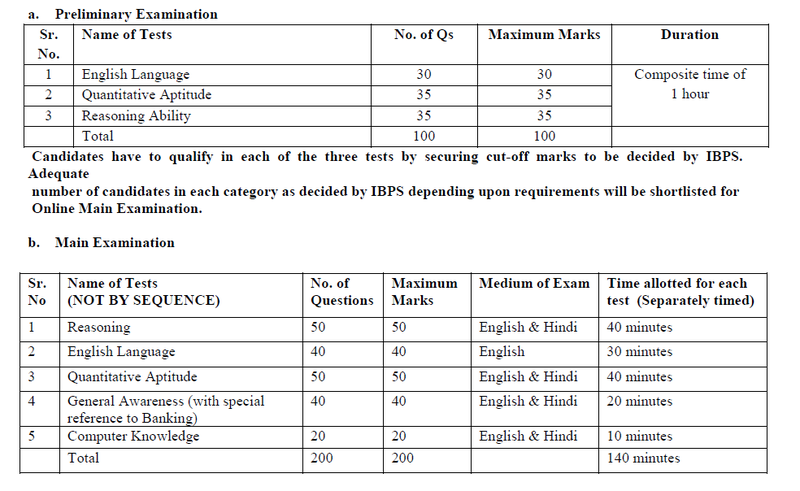 This is the first time, IBPS is conducting preliminary exam to eliminate candidates in the early stage of selection process. 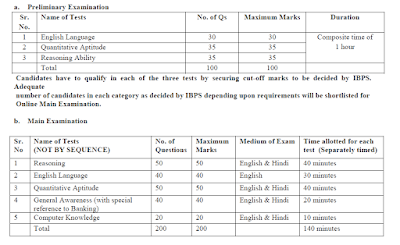 Note- Candidates have to qualify in each of the three tests by securing passing marks to be decided by the Bank. Adequate number of candidates in each category as decided by the Bank (approximately 20 times the numbers of vacancies subject to availability) will be short listed for the Main Examination. Reasoning-Questions will be asked from analogy, syllogism, Decision making, coding, decoding, statement argument, statement and assumptions , puzzles, blood relation, series , statement and course of action. 1. Reasoning-Questions will be asked from analogy, syllogism, Decision making, coding, decoding, statement argument, statement and assumptions , puzzles, data sufficiency, blood relation, series , statement and course of action. News related with RBI and knowledge of banking terms .